It is your girlfriend/boyfriend/spouse/kid/parent’s birthday. Tomorrow. Or it’s Christmas. 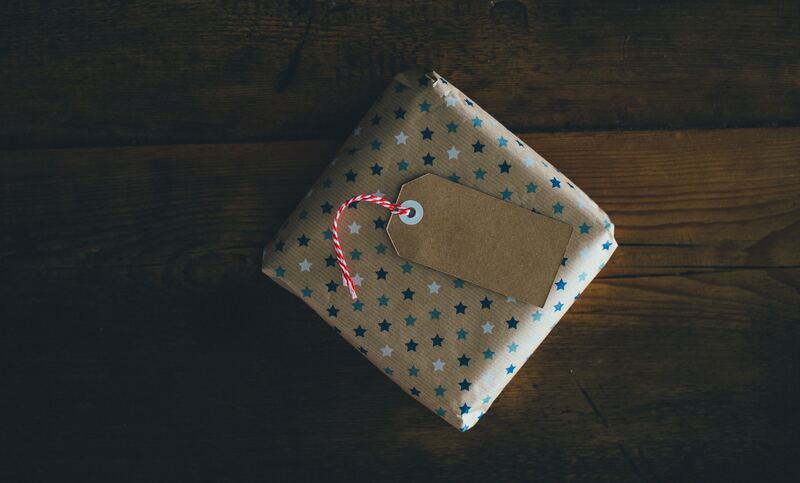 Not to worry – you’ve thought deeply about what to get them and have been planning weeks and now the gift is neatly wrapped and ready to go. Upon opening it, they will fall to their knees in astonishment and gratitude and will congratulate you on, once again, picking the perfect gift – the thing that they didn’t even know they wanted. Your gift will be cherished and tweeted about until the end of time itself. It’s a gift that matters. For too many of us, gift giving has lost its meaning. It has become a transaction, checking off a box, minimizing effort and hoping for the best. Can gifts matter again? Why not turn to the modern solution for just about anything, Artificial Intelligence? If we can train A.I. to drive a car, invest money, diagnose cancer and find us a mate, surely it can suggest a gift. How hard can it be? Turns out, pretty hard. But not impossible. The key is training data, which all A.I. systems require. Training simply means giving the computer lots of scenarios, with the “correct” answers. For example, in cancer detection, providing millions of x-rays with accompanying information on whether they show cancer allows the software to learn what a cancerous x-ray looks like. So where to find training data? It turns out that while humans are bad at picking gifts, they know what gifts make them happy. Out of the hundreds of gifts I’ve received over the years, I remember that for my 28th birthday a friend gave me an introductory flying lesson. It was a fantastic birthday gift for a male who loved technology, travel and had a bit of an adventurous streak. I asked a few friends if they had ever received something that they really loved and after a moment’s thought, most of them could describe at least one gift that they had really loved. The gifts ran a wide range including experience based gifts, handmade gifts, unique items such as antiques and normal run of the mill commercial products. So why not crowd source the gift ideas? If we could ask a large number of people to describe something that they had once received and loved, along with the things they care about, we could create a very large list of “great” gifts and the types of people, demographically speaking, who love them. We could then reveal that dataset to the world with a bit of AI to make the matches more relevant. If it works, this holiday season could really be different. Less crap, more meaning, less guilt. But where to find a large number of people who are willing to contribute one minute of their time to make the world a better place? That’s it. Less than 1 minute to save the world – or at least to save the world from bad gifts. By the way, the flying lesson was the most expensive of these at ~$100. We’ve begun to aggregate these gifts into a site and Messenger app for this holiday season. The site is will be called GiftJinn.com. Jinn, for those who don’t know, is the plural of Genies. With your help, we can get the dataset ready and launch it before November, just in time to save all those would be Grinches out there. Which makes you Cindy Lou Who or Max, your choice. Please help (just 1 minute of your time to do something good): Make Gifts Matter. And share this with your friends! Ned runs an Artificial Intelligence company and dresses as the Grinch for Halloween. Previously he was Head of the Americas at Yahoo and Chief Revenue Officer at AOL.